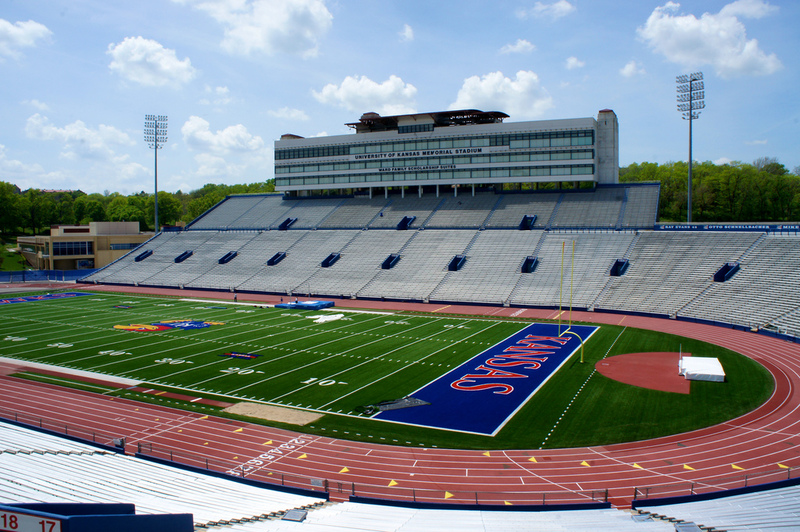 Kansas Memorial Stadium is a football stadium located in Lawrence, Kansas, on the campus of the University of Kansas. Kansas Memorial Stadium was dedicated as a memorial to the University of Kansas students who died in World War I. Kansas Memorial Stadium is recognized as the first stadium built on a college campus west of the Mississippi River, and is the seventh oldest collegiate stadium in the nation. The Kansas Jayhawks moved into Kansas Memorial Stadium in 1921 and defeated Kansas State on October 29, 1921 before 5,000 fans. When the Kansas Memorial Stadium opened, the east and west stands were complete with a capacity of 22,000. The final game of the 1921 season saw Kansas beat Missouri before 15,480 fans in Memorial Stadium.